Ever since their release back in 2006, our Brooklyn Series of Baseball Bats have been consistent fan favorites! Precision injection molded out of the heaviest-grade high-impact polypropylene that we can find, they are not only stronger than most traditional bats, but they are more durable too! These unimaginably strong Bats won't rot, crack, or splinter or even fade! You needn't worry about dirt affecting them either, since they're almost impervious to the elements and clean up with little more than soap and water. Perfect for school or league games, they can be used as game bats, practice and warm-up bats or even serve as crossover trainers to develop strength and hand/eye coordination for those studying Martial Arts. 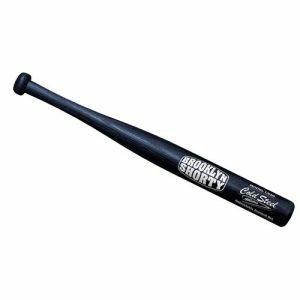 From our micro sized Souvenir Bat (the Brooklyn Shorty) to our epic over-sized Whopper, and all of the other models in between, we're sure to have the bat for you!